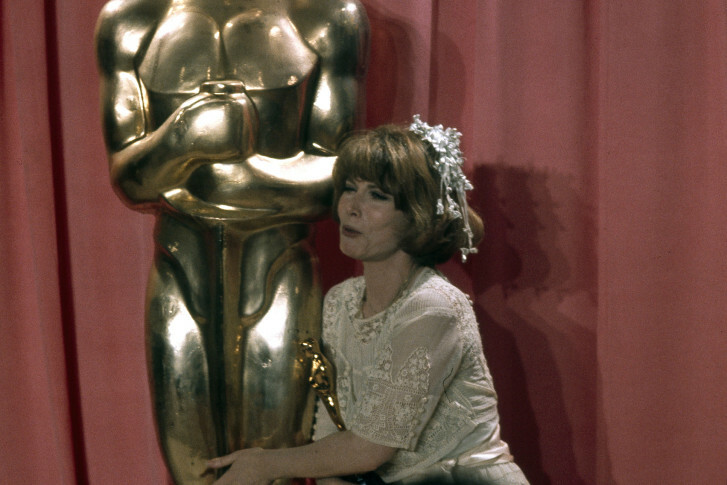 WASHINGTON — From breaking the Hollywood Blacklist with “Peyton Place,” to breaking the color barrier with “In the Heat of the Night,” actress Lee Grant has done it all. Born in New York City in 1925, Grant made her stage debut at age 4 at the Metropolitan Opera. As a teen, she starred in Broadway’s “Detective Story,” a role she reprised across Kirk Douglas in the 1951 film to win Best Actress at Cannes and earn her first Oscar nomination. For most stars, this would be the time to exhale and say, “I’ve made it.” But this was the 1950s and McCarthyism was raging. Thus, Grant fell victim to the Hollywood Blacklist, which persecuted filmmakers for supposed “Communist” political beliefs — regardless of the evidence. The paranoia snared the likes of Lucille Ball, Orson Welles, Leonard Bernstein, Arthur Miller and dozens of others, and Grant did not work in any major film or television productions for the next decade. Then along came a little show called “Peyton Place” (1964). The ABC series pioneered what we now know as the soap opera, as Grant starred across from Ryan O’Neal, Mia Farrow and Dorothy Malone, who had already planted the seeds of soapy melodrama in Douglas Sirk’s “Written on the Wind” (1956). Grant’s role as Stella Chernak won her an Emmy, the first of two in her career. Three years after “Peyton Place,” Grant made her triumphant return to the silver screen in Norman Jewison’s “In the Heat of the Night” (1967). The murder mystery — set in 1960s Sparta, Mississippi — was a groundbreaking moment in civil rights, starring Sidney Poitier as Det. Virgil Tibbs, an Oscar-winning Rod Steiger as his fellow detective, and Grant as the grieving widow of the murder victim. Grant still swoons about working with Poitier. By now, Grant was red hot in Hollywood circles. She starred alongside Patty Duke and Sharon Tate in “Valley of the Dolls” (1967), won a second Emmy for TV’s “The Neon Ceiling” (1971) and picked up another pair of Oscar nominations under director Hal Ashby, first for “The Landlord” (1970) and then for her career role as Felicia in “Shampoo” (1975), for which she finally won the Academy Award. Not only did “Shampoo” feature a visionary director like Ashby, it boasted a script cowritten by Warren Beatty and Robert Towne, who was fresh off “Chinatown” (1974). 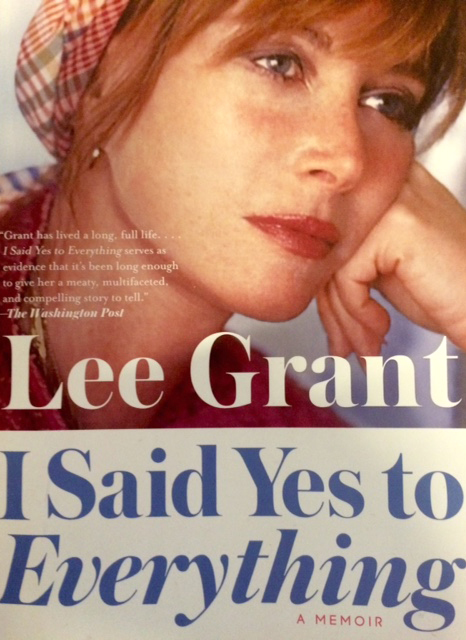 “Shampoo” followed a Beverly Hills hairdresser around Election Eve in 1968, and despite the star-studded cast of Beatty, Julie Christie, Goldie Hawn and Jack Warden, it was Grant who emerged as the sole Oscar winner. The following year, Grant earned her fourth Oscar nomination in Stuart Rosenberg’s “Voyage of the Damned” (1976), then continued to appear in a range of work at the close of the ’70s, be it across Jack Lemmon in “Airport ’77” (1977) or across William Holden in “Damien: Omen II” (1978). As the ’80s arrived, Grant shifted her focus to directing. In 1986, she won both the Directors Guild Award for the made-for-TV movie “Nobody’s Child” (1986) and directed the Oscar-winning documentary “Down and Out in America” (1986), which followed farmers, factory workers and the homeless during the recession of the mid-1980s. She continued to appear sporadically, most memorably under director David Lynch in the TV and film versions of “Mulholland Drive” (2001). Today, Grant is as chipper as ever. She turns 90 this October — as good a time as any to commit all these memories to paper. Such a memoir could use an alternate title, Grant jokes.